At least, the best training does those things. But, not all training programs are created equal. That’s why you partnered with an outside training provider in the first place, to help you select and implement a program that works for your company. With all the variables at play, how can you measure the real impact of your training provider? You can’t know how far you’ve come unless you know where you started. So before you bring in any training partner, you should establish a baseline. Measure your employees’ current level of knowledge and assess their performance. Look back at historical data if you have it available. ClearImpact recommends going back three to five years to get a true picture of employee performance over time. If you don’t have three to five years of data, start today. You might track how quickly individual employees complete an everyday task, customer feedback ratings, or dollar value of sales made. Be specific about the key performance indicators you track. Many companies track everything, resulting in a glut of data but no real insight. Choose a few KPI’s to measure. Once you have your baseline data, start tracking progress right away. Don’t wait until the end of the training. Once you know your starting point, you can make a plan for where you want to go. Identify a few benefits you’d like to realize. Benefit is a tricky word. It can apply to profit, efficiency, retention, customer satisfaction. Be realistic and specific. While “more efficiency” is a benefit, it’s not a very specific one and could be hard to measure. Instead, say by how much you would like to improve efficiency. Training can have intangible benefits as well as direct benefits. Your employees might feel more confident in their work, more supported by your company, or more engaged with their peers. Those impacts are harder to measure, but can be directly linked to employee satisfaction and retention rates. One way to measure the effectiveness of a training or a training partner is to give the training to one group and not to another. For example, you might invite your training partner into one satellite office but not the other. In marketing, this is called A/B testing. You split your audience in two and give a different message to each in order to measure the effectiveness of the messaging. If you see a jump in performance from the trained team and not from the untrained team, you have pretty compelling evidence that your training partner is effective. Your training partner probably uses some kind of measuring system to assess whether their training is working within your company. After all, their continued partnership is dependent on them delivering effective training. Your partner should be willing to share at least some of their analytics with you in an effort to help you understand the impact of their training within your organization. Of course, they have incentive to share only the results that show them in a favorable light, so you may not want to rely on this as your only measurement. One of the best ways to assess impact is by measuring how well your learners are able to apply what they learned. You might use practice scenarios or on the job observation to assess whether performance has improved after training is complete. Keep in mind that you need a reasonable sample size to do this assessment effectively. A single employee might be having an off day, be particularly good at picking up this sort of material, or not be interested in improving. No single employee should be used to measure the progress of the group. 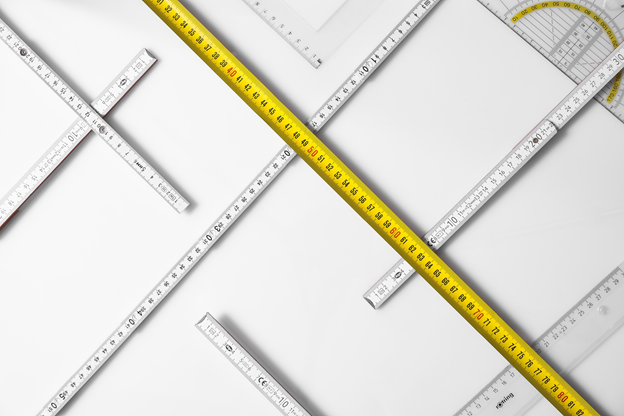 Instead, take a representative sample, that is a reasonable number of people that represent a cross-section of your team, and measure their average progress. While raw numbers can be useful, don’t underestimate the value of employee perspectives. Survey or interview employees during and after training. Ask them if the training was effective, was it relevant, were they engaged? Employees, especially millennials, believe that training and development is a vital part of their job. They want to learn. But they have little patience for training that doesn’t feel like it’s worth their time. All of these methods of assessment are used to some degree or another in the Kirpatrick Model. This model is the most widely accepted method of training evaluation in the world. It wa created by Donald Kirkpatrick, former president of the American Society for Training and Development. Reaction. Did employees like the training? Was it engaging and relevant? Behavior. Do employees apply the training in their work? Results. Did your company achieve its targeted outcomes? Did your key metrics improve? Ultimately, the impact of a training provider comes down to one question: Did they provide a positive return on investment? If your result is 100 you’ve made back your investment. If it’s higher than 100 you’ve achieved positive ROI. Keep in mind that results might differ if you’re measuring short term ROI or long-term ROI. You might see an initially high return on investment that decreases over time, or the effects of the training might compound over time, resulting in higher ROI. If you have no intention of changing what you’re doing there’s no point in measuring the impact of your training partner. But the most successful companies know how to consistently improve. They make tough decisions based on cost-benefit analysis and real numbers. Measuring the impact of your training provider can help you choose a provider that works for your business and let’s you know that they remain effective over time. If you’re looking for a training partner who delivers real benefits to your organization, contact Penn Foster. From individual skill-based courses to industry-specific career pathways and apprenticeship programs, our portfolio of affordable employee development solutions can be tailored to meet your organization's unique training needs.